This weekend, October 29th-31st, Chris and I will be at the Long Beach Comic Con in (currently not-so-sunny) Southern California! We’ll have all sorts of fun Reed Gunther goodies, some original Moon Gloom pages, free zines, and TRICKS and TREATS! Only in its second year, the Long Beach Comic has a pretty impressive guest list. If you’re in LA, Long Beach is too close to pass up! I hear Stan Lee’s going to be there shouting “EXCELSIOR!” at every con-goer. 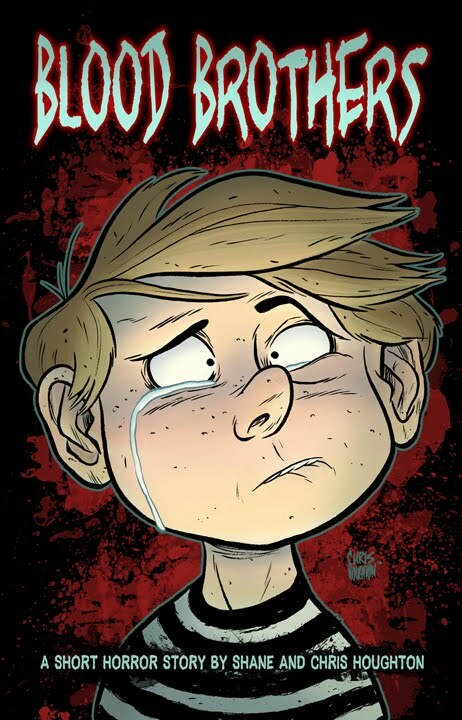 Also at the Reed Gunther table we’ll have copies of our SPOOOOOOKY short horror comic, Blood Brothers! Perfect for Halloween goosebumps! Blood Brothers follows the tale of two bickering brothers as they investigate a local werewolf legend. 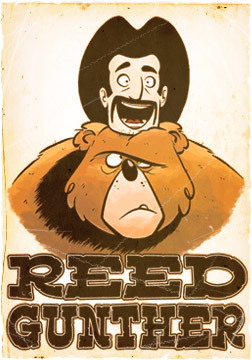 Chris and I created Blood Brothers to see if we could pull off a different style from Reed Gunther. Now it is a little spooky so I don’t think we can recommend this one as all-ages, but most folks should get a kick out of it. Blood Brothers is only available from me and Chris in person (and for only a buck! ), so be sure to catch up with us at a convention to snag one of these puppies! If you’re in town, be sure to swing by and say hi to us! We’ll have candy! … Unless Chris eats it all. This one is spooky but still cute and fun. I let my nephews and nieces read it on Halloween and they thought it was awesome. Kids can handle a lot more scary than we think.